Spotted this on my way out of the gas station. Pretty uncommon to see these on the road since just to go out you need a helmet and race suit. No it's only the first Saturday of every month from May-September. Why? John it is, those are faster than a Veyron SS for practically nothing compared to the Bugatti's listed MSRP. He has been to quite a few Supercar Saturdays, I've actually sat in this. Thanks guys I was surprised when I saw it too. 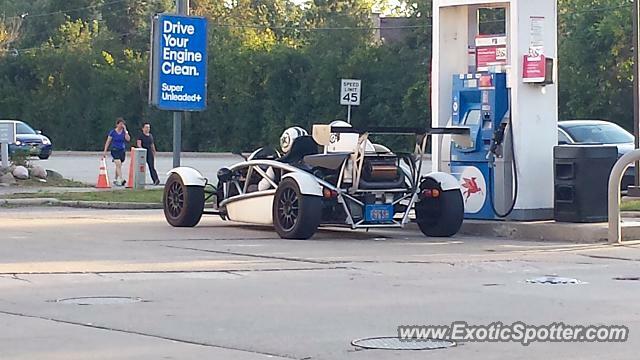 At first I didn't even realize what it was, I thought it was some sort of kit-car. Dang nice find! This Atom is so cool.